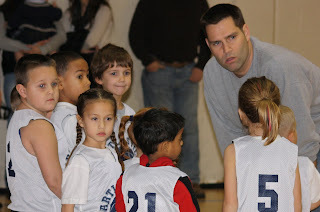 We are sooo happy to be coaching Nick's team again this season! They are doing so good! We have not lost a game yet!!! I will be posting tons more pictures soon!!! 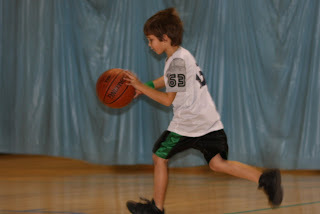 We had Alex's 8th birthday party at the YMCA again this year! It is perfect!! The kids were able to swim for a while, until someone, (not with our group) puked in the pool, and they closed it down! We then moved into the party room! The kids, and some parents, love it. The room has a ton of balls in it, so we all have a blast throwing them around. And hey, it works great for wearing all of these kids out!! Welcome to the Nut House!! Maxx is our crazy dog who is part kangaroo! He gets sooo excited and just jumps all over the place. We really are working with him to calm it down! But it is kinda fun to watch him pounce all over the place! Alex's Birthday was on a Thursday this year, with NO school the next day. So we had a very spontanious sleepover! He had 3 friends come over to stay the night, plus Nick and Mason! It was very crazy! I do not think they went to sleep until 2 am, and then they woke up so early! They all had such a fun time and it really is neat to have the boys and all of their friends over to play!! Mason and I decided to go outside one afternoon and build ourselves a snowman. We were so happy with the way it was turning out. We were showing it off to Scott and the boys, thinking they would be happy for him too. Then BAM, the whole thing blew up! Boys and fireworks.....you just can't win!! My wonderful husband suprised me with tickets to the John Mayer concert in OKC for Valentines Day!! Yeah, I know, pretty amazing! Scott and I had not left Mason over night in close to 2 years! 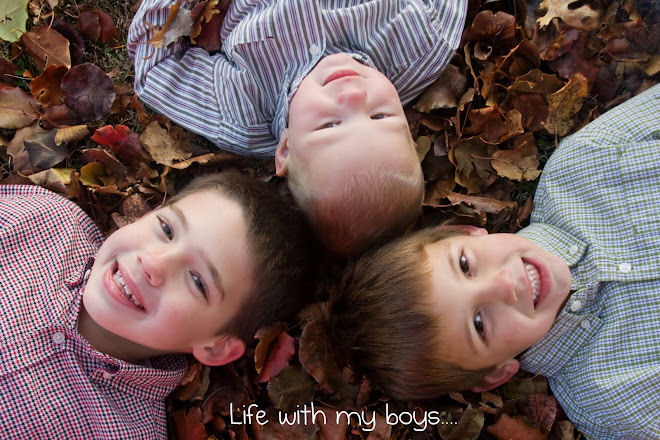 And I don't think we have had a babysitter for Alex and Nick in 5 years or so. Needless to say, we needed a night out! Alex and Nick were at their dads for the weekend and Mason stayed the night with our fantastic friends, who adore Mason and have seen him daily since his birth! Scott and I headed to OKC for the night! We found our hotel, got ready, ate dinner, and headed to the concert! It was GREAT!! 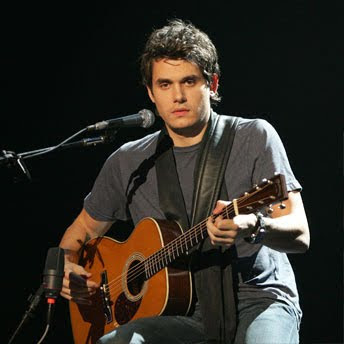 John Mayer rocks it on the guitar!! He is so good!! The Ford Center was packed and it was just such a fun time! After it was over we headed to Murphy's Piano Bar and continued our night of fun! We laughed and enjoyed ourselves! It was so nice to get away even if just for 20 hours and have some adult time and enjoy each others company. We decided that we are going to have to get out more often than every 2 years!!! 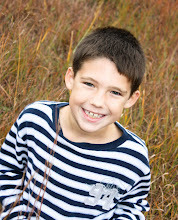 Ok, I am so far behind on blogging, I feel bad, really I do!! 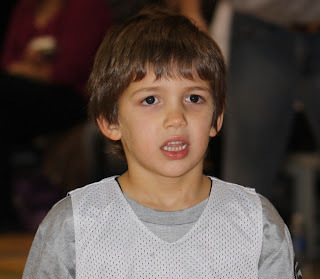 Nick started playing basketball this year at the YMCA, he loved it! He did so well this season and we were so happy to be there to cheer him on! The age range was a little odd for the teams though. 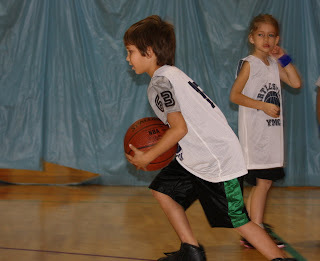 The ages varied from 4-6 on a team. 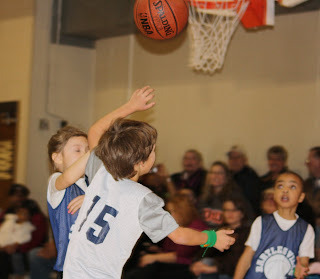 Nick really keeps us on our toes with all of his sports. We went from Basketball straight into soccer, and t-ball is next! !